Hydrocodone Bitartrate and Acetaminophen Tablets, USP are supplied in tablet form for oral administration. In addition, each tablet contains the following inactive ingredients: colloidal silicon dioxide, magnesium stearate and microcrystalline cellulose. Hydrocodone: Following a 10 mg oral dose of hydrocodone administered to five adult male subjects, the mean peak concentration was 23.6 ± 5.2 ng/mL. Maximum serum levels were achieved at 1.3 ± 0.3 hours and the half-life was determined to be 3.8 ± 0.3 hours. Hydrocodone exhibits a complex pattern of metabolism including O-demethylation, N-demethylation and 6-keto reduction to the corresponding 6-Î±- and 6-Î²-hydroxymetabolites. See OVERDOSAGE for toxicity information. Acetaminophen: Acetaminophen is rapidly absorbed from the gastrointestinal tract and is distributed throughout most body tissues. The plasma half-life is 1.25 to 3 hours, but may be increased by liver damage and following overdosage. Elimination of acetaminophen is principally by liver metabolism (conjugation) and subsequent renal excretion of metabolites. Approximately 85% of an oral dose appears in the urine within 24 hours of administration, most as the glucuronide conjugate, with small amounts of other conjugates and unchanged drug. See OVERDOSAGE for toxicity information. Hydrocodone bitartrate and acetaminophen tablets, USP are indicated for the relief of moderate to moderately severe pain. This product should not be administered to patients who have previously exhibited hypersensitivity to hydrocodone or acetaminophen, or any other component of this product. Special Risk Patients: As with any narcotic analgesic agent, hydrocodone bitartrate and acetaminophen tablets should be used with caution in elderly or debilitated patients and those with severe impairment of hepatic or renal function, hypothyroidism, Addison's disease, prostatic hypertrophy or urethral stricture. The usual precautions should be observed and the possibility of respiratory depression should be kept in mind. Patients receiving other narcotic analgesics, antihistamines, antipsychotics, anti-anxiety agents, or other CNS depressants (including alcohol) concomitantly with hydrocodone bitartrate and acetaminophen tablets may exhibit an additive CNS depression. When combined therapy is contemplated, the dose of one or both agents should be reduced. Clinical studies of hydrocodone bitartrate and acetaminophen did not include sufficient numbers of subjects aged 65 and over to determine whether they respond differently from younger subjects. Other reported clinical experience has not identified differences in responses between the elderly and younger patients. In general, dose selection for an elderly patient should be cautious, usually starting at the low end of the dosing range, reflecting the greater frequency of decreased hepatic, renal, or cardiac function, and of concomitant disease or other drug therapy. Acetaminophen: In acetaminophen overdosage: dose-dependent, potentially fatal hepatic necrosis is the most serious adverse effect. Renal tubular necrosis, hypoglycemic coma, and thrombocytopenia may also occur. Hydrocodone Bitartrate and Acetaminophen Tablets, USP, each tablet of which contains hydrocodone bitartrate 10 mg (WARNING: May be habit-forming) and acetaminophen 650 mg, are white to off-white, scored, oblong biconvex tablets, debossed â€œIP 114â€ on obverse and bisected on the reverse. A Schedule CIII Controlled Drug Substance. MULTIPLE STRENGTHS: DO NOT DISPENSE UNLESS STRENGTH IS STATED. WARNING: Keep this and all drug out of the reach of children. STORAGE: Store at 25 degee C (77 degree F); excursions permitted to 15 degree to 30 degree Centigrade (59 degree to 86 degree F) [See USP Controlled Room Temperature]. Theramineâ„¢ PRODUCT INFORMATION Theramine (U.S. patent pending) capsules by oral administration. A specially formulated Medical Food product, consisting of a proprietary blend of amino acids and polyphenol ingredients in specific proportions, for the dietary management of the metabolic processes associated with pain disorders and inflammatory conditions. (PD) (IC). Must be administered under physician supervision. Medical Foods Medical Food products are often used in hospitals (e.g., for burn victims or kidney dialysis patients) and outside of a hospital setting under a physicianâ€™s care for the dietary management of diseases in patients with particular medical or metabolic needs due to their disease or condition. Congress defined "Medical Food" in the Orphan Drug Act and Amendments of 1988 as "a food which is formulated to be consumed or administered enterally [or orally] under the supervision of a physician and which is intended for the specific dietary management of a disease or condition for which distinctive nutritional requirements, based on recognized scientific principles, are established by medical evaluation." Medical Foods are complex formulated products, requiring sophisticated and exacting technology. Theramine has been developed, manufactured, and labeled in accordance with both the statutory and the FDA regulatory definition of a Medical Food. Theramine must be used while the patient is under the ongoing care of a physician. PAIN DISORDERS (PD) INFLAMMATORY CONDITIONS (IC) PD and IC as a Metabolic Deficiency Disease A critical component of the definition of a Medical Food is the requirement for a distinctive nutritional deficiency. FDA scientists have proposed a physiologic definition of a distinctive nutritional deficiency as follows: â€œthe dietary management of patients with specific diseases requires, in some instances, the ability to meet nutritional requirements that differ substantially from the needs of healthy persons. For example, in establishing the recommended dietary allowances for general, healthy population, the Food and Nutrition Board of the Institute of Medicine National Academy of Sciences, recognized that different or distinctive physiologic requirements may exist for certain persons with "special nutritional needs arising from metabolic disorders, chronic diseases, injuries, premature birth, other medical conditions and drug therapies. Thus, the distinctive nutritional needs associated with a disease reflects the total amount needed by a healthy person to support life or maintain homeostasis, adjusted for the distinctive changes in the nutritional needs of the patient as a result of the effects of the disease process on absorption, metabolism and excretion.â€ It was also proposed that in patients with certain disease states who respond to nutritional therapies, a physiologic deficiency of the nutrient is assumed to exist. For example, if a patient with pain disorders responds to a tryptophan formulation by decreasing perceived pain, a deficiency of tryptophan is assumed to exist. Patients with pain disorders and inflammatory conditions are known to have nutritional deficiencies of tryptophan, choline, arginine, GABA, flavonoids, and certain antioxidants. Patients with pain disorders and inflammatory conditions frequently exhibit reduced plasma levels of tryptophan and GABA and have been shown to respond to oral administration of GABA, arginine, tryptophan, or a 5-hydoxytryptophan formulation. Research has shown that tryptophan, arginine or GABA reduced diets result in a fall of circulating tryptophan, arginine, and/or GABA. Patients with pain disorders frequently exhibit activation of the degradation pathways that increases the turnover of GABA, arginine and/or tryptophan leading to a reduced level of production of serotonin, GABA or nitric oxide for a given precursor blood level. Research has also shown that a genetic predisposition to accelerated degradation can lead to increased precursor requirements in certain patients with pain disorders and inflammatory conditions. Choline is required to fully potentiate acetylcholine synthesis by brain neurons. A deficiency of choline leads to reduced acetylcholine production by the neurons. Flavonoids potentiate the production of acetylcholine by the neurons thereby reducing delta pain. Diets deficient in flavonoid rich foods and choline result in inadequate flavonoid concentrations, impeding acetylcholine production in certain patients with pain disorders and/or inflammatory conditions. Acetylcholine in pre-synaptic ganglia is necessary for the production of serotonin and nitric oxide in post-synaptic ganglia. Provision of tryptophan, arginine, GABA, choline and flavonoids with antioxidants, in specific proportions can restore the production of beneficial serotonin, nitric oxide, and acetylcholine, thereby reducing the perception of pain and reducing inflammation. 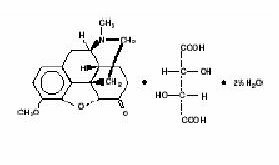 L-Histidine is known to produce brain histamine that stimulates production of ACTH. PRODUCT DESCRIPTION Primary Ingredients Theramine consists of a proprietary blend of amino acids, cocoa, caffeine, cinnamon, and flavonoids in specific proportions. These ingredients fall into the category of Generally Regarded as Safeâ€ (GRAS) as defined by the Food and Drug Administration (FDA) (Sections 201(s) and 409 of the Federal Food, Drug, and Cosmetic Act). A GRAS substance is distinguished from a food additive on the basis of the common knowledge about the safety of the substance for its intended use. The standard for an ingredient to achieve GRAS status requires not only technical demonstration of non-toxicity and safety, but also general recognition of safety through widespread usage and agreement of that safety by experts in the field. Many ingredients have been determined by the U.S. Food and Drug Administration (FDA) to be GRAS, and are listed as such by regulation, in Volume 21 Code of Federal Regulations (CFR) Sections 182, 184, and 186. Amino Acids Amino Acids are the building blocks of protein. All amino acids are GRAS listed as they have been ingested by humans for thousands of years. The doses of the amino acids in Theramine are equivalent to those found in the usual human diet. Patients with pain disorders may require an increased amount of certain amino acids that cannot be obtained from normal diet alone. Tryptophan, for example, is an obligatory amino acid. The body cannot make tryptophan and must obtain tryptophan from the diet. Tryptophan is needed to produce serotonin. Serotonin is required to reduce pain. Patients with pain disorders and inflammatory conditions have altered serotonin metabolism. Some patients with pain disorders and inflammatory conditions have a resistance to the use of tryptophan that is similar to the mechanism found in insulin resistance. Patients with pain disorders and inflammatory conditions cannot acquire sufficient tryptophan from the diet to alter the perception of pain and the inflammatory process without ingesting a prohibitively large amount of calories, particularly calories from protein. Flavonoids Flavonoids are a group of phytochemical compounds found in all vascular plants including fruits and vegetables. They are a part of a larger class of compounds known as polyphenols. Many of the therapeutic or health benefits of colored fruits and vegetables, cocoa, red wine, and green tea are directly related to their flavonoid content. The specially formulated flavonoids found in Theramine cannot be obtained from conventional foods in the necessary proportions to elicit a therapeutic response. Other Ingredients Theramine contains the following inactive or other ingredients, as fillers, excipients, and colorings: magnesium stearate, microcrystalline cellulose, Maltodextrin NF, gelatin (as the capsule material). Physical Description Theramine is a yellow to light brown powder. Theramine contains L-Glutamine, L-Arginine, L-Histidine, and L-Serine, 5-Hydroxytryptophan as Griffonia Seed Extract, GABA, Choline Bitartrate, Cinnamon, Cocoa, Hydrolyzed Whey Protein, and Grape Seed Extract. CLINICAL PHARMACOLOGY Mechanism of Action Theramine acts by restoring and maintaining the balance of the neurotransmitters; GABA, nitric oxide, serotonin, and acetylcholine that are associated with pain disorders and inflammatory conditions. Theramine stimulates the production ACTH to reduce inflammation. Metabolism The amino acids in Theramine are primarily absorbed by the stomach and small intestines. All cells metabolize the amino acids in Theramine. Circulating tryptophan, arginine and choline blood levels determine the production of serotonin, nitric oxide, and acetylcholine. Excretion Theramine is not an inhibitor of cytochrome P450 1A2, 2C9, 2C19, 2D6, or 3A4. These isoenzymes are principally responsible for 95% of all detoxification of drugs, with CYP3A4 being responsible for detoxification of roughly 50% of drugs. Amino acids do not appear to have an effect on drug metabolizing enzymes. INDICATIONS FOR USE Theramine is intended for the clinical dietary management of the metabolic processes of pain disorders and inflammatory conditions. CLINICAL EXPERIENCE Administration of Theramine has demonstrated significant reduction in symptoms of pain and inflammation in patients with acute and chronic pain when used for the dietary management of the metabolic processes associated with pain disorders and inflammatory conditions. Administration of Theramine results in the induction and maintenance of pain relief in patients with pain disorders and inflammatory conditions. PRECAUTIONS AND CONTRAINDICATIONS Theramine is contraindicated in an extremely small number of patients with hypersensitivity to any of the nutritional components of Theramine. ADVERSE REACTIONS Oral supplementation with L-tryptophan, L-arginine or choline at high doses up to 15 grams daily is generally well tolerated. The most common adverse reactions of higher doses â€” from 15 to 30 grams daily â€” are nausea, abdominal cramps, and diarrhea. Some patients may experience these symptoms at lower doses. The total combined amount of amino acids in each Theramine capsule does not exceed 400 mg.
DRUG INTERACTIONS Theramine does not directly influence the pharmacokinetics of prescription drugs. Clinical experience has shown that administration of Theramine may allow for lowering the dose of co-administered drugs under physician supervision. OVERDOSE There is a negligible risk of overdose with Theramine as the total dosage of amino acids in a one month supply (90 capsules) is less than 36 grams. Overdose symptoms may include diarrhea, weakness, and nausea. POST-MARKETING SURVEILLANCE Post-marketing surveillance has shown no serious adverse reactions. Reported cases of mild rash and itching may have been associated with allergies to Theramine flavonoid ingredients, including cinnamon, cocoa, and chocolate. These reactions were transient in nature and subsided within 24 hours. DOSAGE AND ADMINISTRATION Recommended Administration For the dietary management of the metabolic processes associated with pain disorders and inflammatory conditions. Take (2) capsules one to three times daily or as directed by physician. As with most amino acid formulations Theramine should be taken without food to increase the absorption of key ingredients. Storage Store at room temperature, 59-86OF (15-30OC) Protect from light and moisture. Theramine is supplied to physicians in a recyclable plastic bottle with a child-resistant cap.